Paradise, Pennsylvania – 2018 brought rising SREC prices for solar owners in Pennsylvania with the recent closure of the state’s SREC borders. This, coupled with decreasing installation costs make solar energy an attractive renewable alternative. 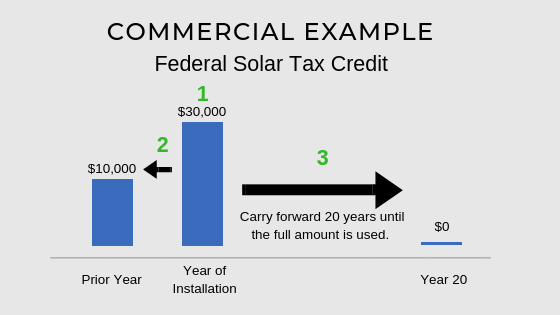 However, 2019 is the last chance to take advantage of the full Solar Incentive Tax Credit (ITC). Since 2006, the ITC offers homes and businesses a 30% tax credit for installing their system. This dollar-for-dollar credit reduces the income taxes a person or company would pay to the federal government, cutting the cost of a solar system by nearly a third. But this is the last year to receive the ITC at the full 30%. 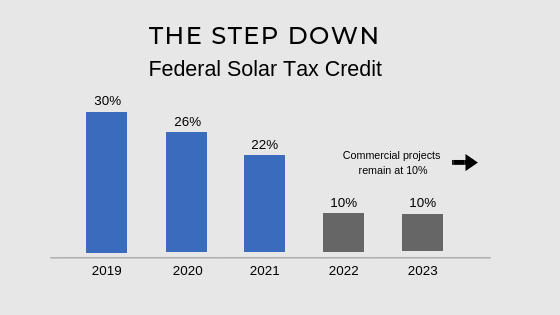 “Starting in 2020, the tax credit will begin to diminish, stepping down to 26%. In 2021, it will reduce again to 22%, and in 2022 it will exist permanently as a 10% tax credit for businesses only,” shares Dale Good, CEO and President of Paradise Energy Solutions, a leading solar installation company based out of Paradise, Lancaster County. There are just two requirements that need to be met: you must have tax liability and you must own your system. In other words, if you don’t pay taxes, you cannot take advantage of the credit, and if you lease your system instead of owning it, the credit will go to the lessor/system owner. If you buy a solar system for $100,000 you would receive a tax credit of $30,000. “It is important to understand that this is a federal tax credit that will offset taxes you owe; it’s not a grant that will pay out $30,000,” Good shares. The law does differ on how any remaining money can be used for a homeowner versus a business. Businesses and farms can use that credit to recoup taxes paid during the prior year and then carry forward any remaining balance for up to 20 years until it’s fully used. Homeowners can use the credit over the next five tax years until the full amount is used up. There is no cap to the amount of your tax credit – you’ll receive the full 30% credit regardless of your system’s cost. Though the ITC offers a large savings, solar will continue to be a profitable investment after the stepback thanks to other tax benefits and continually increasing electricity rates. In the recent Tax Cut and Jobs Act, the law changed to allow 100% bonus depreciation for commercial solar systems. This allows the entire cost basis of a solar system to be depreciated in the year it was placed into service. For example, if you invest $92,000 in a solar system, your business could receive $48,000 or more of that investment back in year one, depending on your tax bracket. Other equipment investments in this same scenario would cost you $192,000 to match the tax benefits that come with a solar investment. That means you will spend nearly 110% more on most comparable equipment investments in order to receive the same tax benefits. The cost of solar has also drastically decreased for Pennsylvania-area projects, making solar a viable option even without large incentives. According to Solar Energy Industries Association, prices have fallen 43% in over the last five years. About Paradise Energy Solutions – Paradise Energy Solutions is a family-owned, full-service solar installation company that provides turn-key grid-tied solar installations throughout the mid-Atlantic region for businesses, farmers and homeowners. Their vision is to help people be good stewards of God’s abundant resources. Visit ParadiseEnergy.com for more information.